I have just created my 25th open mic city guide, The Thumbnail Guide to Madrid Open Mics, Jam Sessions and other Live Music. I have only managed to list two open mics on this guide, as I have only so far attended two in the city. But I hope to update as I go along, and you have to start somewhere! MADRID – I cannot imagine that I could have done much better than the Collage “Drink & Arts” bar in Madrid as a location for my first ever open mic in Madrid – or what they call here, “Micro Abierto.” I had been in Madrid a couple of weeks ago, and just failed to attend any open mics. Last night, I found a couple that were happening – Tuesday being a great day for open mics in almost any major city around the world – and I chose the Collage because it was within 15 minutes walking distance from where I am staying. But the world I found, and the musicians I heard, really made me feel it was the right decision. I have written extensively about my open mic experiences in Barcelona, but this is the first time I’ve done one in Madrid – the biggest city in Spain. When I arrived at Collage, there was an almost entirely empty ground floor – just five or six people waiting to be served a meal at a table – and I thought I was in the wrong place. But then I noticed the staircase to the basement, went down, and was immediately greeted by the MC, Lui Sinese, in a warm manner, and saw that someone was already up on the fabulous stage playing music and singing. This is a unique basement room. It’s in the style of so many in Paris, a vaulted cellar ceiling, bar at the back, stage at the other end. But the room is so big, the ceiling so high, the room so long, that it feels almost like a cathedral. And a cathedral of open mic music it is indeed. The stage is actually reminiscent of some New York comedy or music open mic place – the Improv, the Bitter End – with its brick wall backdrop. The sound system was great for the spectators, but a little more difficult for the performers, in terms of the monitor. I was most delighted, though, by hearing so many Spanish performers! In Barcelona it has been rare for me to hear as may Spanish musicians singing in Spanish as here in Madrid last night. And they were all quite unique. There were two or three expat who sang in English, of course, and a fourth counting me. In fact, I got so excited and nervous that when I decided to start with Bob Dylan’s “Just Like a Woman,” I completely began screwing up the chords, and then forgetting the lyrics as a result of that. I stopped after just two verses, it was so painful. The only drawback is that each performer has only two songs to do, so once I’d thrown away those two verses, I was very worried that I might find myself having only one song left. And that’s what happened, as the MC came towards the stage. But when I asked if I could please do another, since I’d only done two verses of the first, he took a vote with the public, and I was allowed to do another song. Another reason I was so nervous was the quality was so consistently high – that fingerpicking guitar player singing the American old time stuff with a Spanish accent, was great – that I felt I fell far below the required level. In the end, I was told it went well. Anyway, I highly recommend this Collage open mic … sorry, Micro Abierto…. I have updated my Thumbnail Guide to Barcelona Open Mics, Jam Sessions and other Live Music. I was most delighted to find that the Big Bang Bar has reinstated an open mic – of a different kind to the one it used to host, and which I had taken off the list after it was done away with. There are two or three other updates, including great Facebook page for finding open mics. So take a visit to my Thumbnail Guide to Barcelona Open Mics, Jam Sessions and other Live Music. BARCELONA – I was expecting to run into Rufus T. Firefly last night as I entered the underground-looking open mic venue, and I heard the laughter from the stage beyond the front hall. After all, this was called Freedonia, and it was a stand-up comedy open mic. I was actually disappointed at first, since I was looking for a musical open mic. But it took only a few seconds for the guys at the front desk to tell me that there were two venues in Freedonia, and one was a stand-up comedy open mic and the other was a musical open mic. So I had come to the right place after all. 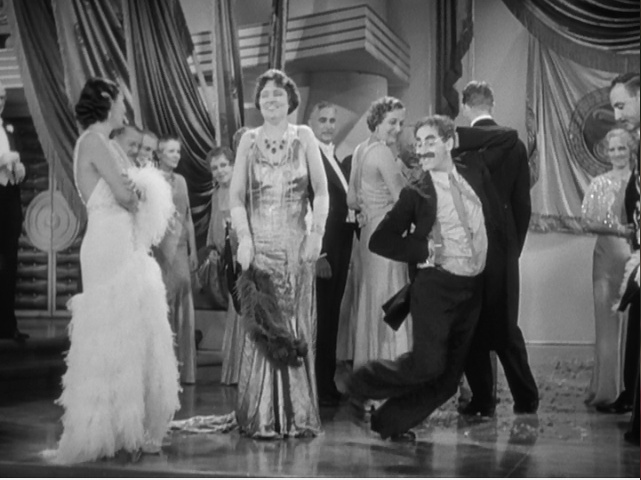 But I made my way so quickly through the front room venue to the back room venue that I never did see if Groucho was there. I was just too excited to have found a really amazing and true open mic in Barcelona that I had not expected to find at all. I’ve had so much more experience in this city with jam sessions than with classic open mics, that I had begun to despair. But last night, in my desperation, I did a search on the Internet employing the Spanish term, “micro abierto,” and there I managed to come up with something at Freedonia that looked as if it really was an open mic, and it really was last night. The even more amazing thing was that I could walk all the way from my hotel down to the venue in central Barcelona, not far from the St. Antoni metro station, and I could play until late and walk back again, within 20 minutes. But the best thing was the actual open mic. The back room is far enough away from the front room – and there is an empty room between them – that the music can be loud and no one seems bothered in the front room. Having said that, I imagine if there is a really bad comic on stage and no one is laughing, then the music coming from the open mic would be a relieving distraction. As it was, when the music stopped, I could hear lots of laughter. Freedonia, in fact, is an association. So in order to take part or even watch as a spectator, you have to sign up your name and information. But that membership process lasts a year, and in exchange, you’re invited into a kind of wonderful private club, with a bar, lots of cheap beer – 2 euros 50 centimes for a bottle – and lots of musicians, comics and spectators. The back room has a few tables, a few chairs, high and low, and a large stage – for an open mic. It is a basic rectangle shape, with a large set of speakers, a mix table, and people trying to make sure the sound is good – even when it isn’t! (I had a problem with the second mic on my third song, but aside from that (and that the quality of the mics was not great), it’s a wonderful setup.) It is a classic open mic, as opposed to a jam, with each person signing a list and playing three songs. No doubt one of the reasons this place is different from other Spanish jam sessions/open mics/micro abiertos, is because it is run by a delightful Englishwoman with an Irish name: Bronagh Ni Laoi. You can also catch a glimpse of her playing in the wonderful high moment of the night, the all-girl band, whose name may or may not be the Ukaladies. (I find another such band on the Internet, in Canada, so I’m not sure about who really has that name….) Four or five women with ukuleles and a cajon and singing and … just check it out…. There were one or two singers in Spanish as well, thank goodness! And a high Spanish-spectator content…. The comedy open mic in the other room seemed to be only in Spanish, by the way. All in all, a fabulous surprise, in a very cool, very hip, very open open mic. Oh, and I forgot to mention just how neat the neighborhood is, also, all alleyways and narrow streets, hidden away off the Ramblas. It seems to be tucked into a little bit of a Little India too. Oh, and on my way back to the hotel, I got dragged in to jam a little on my guitar in a sort of garage-loft by a half destroyed Colombian and his friends…. You had to be there…. It seems to be run every second Thursday – but I’ll confirm that before I put it on my Thumbnail Guide to Barcelona open mics, jam sessions and other live music…. 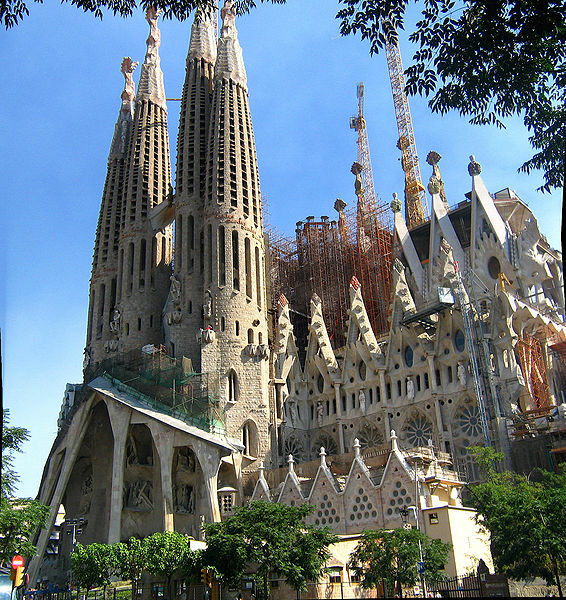 BARCELONA – My worldwide open mic journey began in China in 2008 after the Formula One race in Shanghai, and little did I know that it was a journey that would continue for six more years and cover most of the globe, every continent except Africa (where I once lived and played music in an open mic decades earlier) and Antarctica, and that it would spawn a book, a blog, an album, a documentary film, numerous podcasts, music videos and other multimedia projects. So here is the page devoted to tying together the pieces of the open mic adventure that I have lived in Barcelona since I first started. At each subsequent Formula One race that I visit this year, I will add a new such page. Keep posted….